The hearts of the baseball team are the catchers. They play an important role in the game as they manage the field for their team’s victory. The catchers have to block, catch and throw out the base runners. Not only this, but also they have to keep the pitchers calm, call the pitches, and prepare themselves for various situations accordingly. To be able to give their best in the game, the catchers need to practice the baseball catching drills on regular basis. 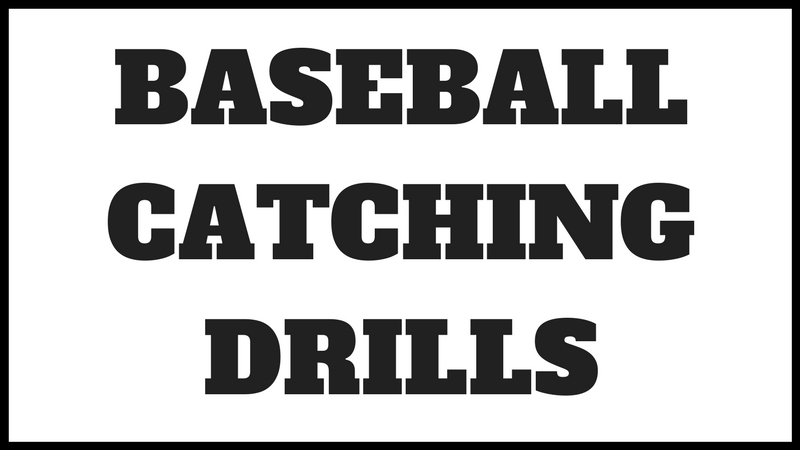 While doing these drills, wear the perfect catcher’s mitt, for catchers, and if you’re on an outfield, then wear your normal baseball gloves. Here are few of the best baseball catching drills for you to practice. The basic fundamental that you must know being a catcher is blocking the ball. However, before you try to block the ball, it is essential to learn the proper technique. The catcher has to squat in the full gear behind the plate, along with the coach guiding when to rise or drop in various directions for stopping the ball. The catcher should be aware of where he/she has to stand to depend upon in which direction the ball comes from. Use players across the whole field and practice taking the balls from each and every direction across the field. The outfield should also be included in the practice. The catcher should always put on their mask for safety purposes. Also, the center of gravity should be maintained at a lower level for leveraging. Once the catcher learns the various blocking techniques without the involvement of ball, he/she can go for this particular drill. The catcher should squat behind the plate, with cones set on either side of catcher. The coach should be positioned 20-30 feet in front of the catcher, on one knee, with a bucket full of balls. The coach has to throw the balls in various random directions between cones. Some should be in the air, while the others in the dirt. Throw approximately 20 balls and check how many goals are allowed by the catcher. For this drill, the catcher should be positioned behind the home plate in full gear. It needs two coaches, one with a bat positioned in batter’s box, and the other one in front of the catcher, positioned on one knee, with a distance of 15-25 feet. These drills train the catcher to not flinch and blink when the ball approaches his face. Initially, the coach should lob the balls at catcher’s mask underhanded. The catcher has to keep their hands behind their back. The catcher then has to bring forward their mitt while the pitcher is allowed to throw the balls, aiming at catcher’s mask, at normal speed. The coach which is in the batter’s box has to swing and miss at each pitch. To perform this drill, a second shortstop or baseman would be required to cover the second, along with the catcher behind the plate with full gear and a pitcher to throw the balls. The pitcher throws the balls out of stretch towards the direction of the catcher. The catcher then throws the same ball to the other baseman to attempt a run out for a mock runner. The catcher has to stress moreover how to get rid of the ball quickly by putting one step extra to increase the velocity of the ball. A stop watched is supposed to be used to measure the interval of time between the pitch hitting the mitt of the catcher and the second baseman catching the throw of the catcher. This time should be as minimal as possible. For an adult player, the position of the catcher is quite demanding when considered both mentally and physically. However, for the younger players, catching is a tricky task unless they are taught proper skills and they develop a few. Proper positioning is very much crucial when it comes to catching. The catcher has to learn how to block the balls in the dirt, how to get out of the squat, and how to throw the ball to the second baseman. Wearing baseball cleats while doing these drills is important as you get habitual as a natural environment. All these skills require practicing various drills repetitively so that they get developed within. Make your young players practice these drills and enhance their skills on the field.